Contact your insurer and see how they feel about outsourcing accounting work offshore. No doubt they will want to “pass the buck” and may well not cover you if a hiccup occurs. So make sure your provider has PII that covers their operation and that your contract is with an Australian legal entity with PII cover for the whole operation. Contact us if you wish to see our PII certificate. 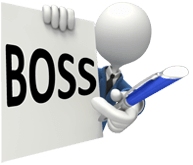 BOSS (Back Office Shared Services Pty Ltd) is New Zealand’s premium outsourced accounting provider - helping you maintain quality and control while outsourcing accounting work. To discuss your needs and how we can help, Book a Consultation NOW!